I feel your pain. Both of my sons are circumcised, not because of religious reasons but just because it was what I thought everybody did, what I thought needed to be done. 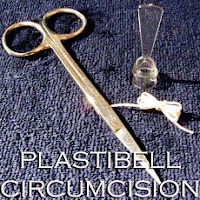 I was young when I had my oldest, only 19, and I knew next to nothing about circumcision. 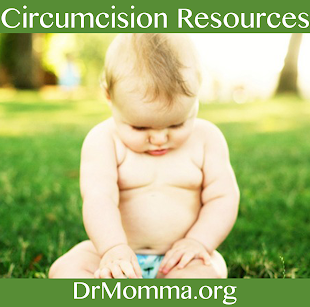 When I had my youngest I was 21 and still had not done any research on circumcision because I thought it was just something that every baby boy had to go through. If I had seen one video, one info card or one facebook post about why it is unnecessary or how painful and traumatic it is I would have spared my sons, I would have protected them. I feel like I failed them, and it hurts my heart to know that. I am so angry with myself, but I channel that into trying to save other baby boys. If I can save any future sons or future grandsons or any other baby boy it will have been worth it. And hopefully, circumcision will become illegal in my lifetime or my sons lifetime. That is the future I hope for. My heart breaks for you and all parents in your situation, because that could have been me 10, even 3 years ago. Had Insurance covered the procedure I would have done it to both my boys, without a second thought... My Mom told me its what you do, but I didn't want to pay for it. I know the remorse I feel for that so I can only imagine how bad you feel. Every time I change my 3 year olds diaper I think of all the boys who are not as lucky as him. Just know that you most certainly are not alone, be there for your son and don't stop sharing your story and spreading g the word. Beautiful words, so sorry for your hurt. 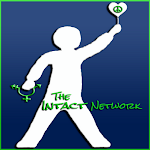 Now YOU can make a difference! A difference in future mothers, fathers and sons. Sometimes, sadly we must learn on our own to be an effective teacher. More bold, more sure, more powerful. You have a voice. A HUGE, LOUD voice. Please keep using it to educate others! Your story brought a tear to my eye. I feel the same way. My 3-yr-old is circumcised. I had been blinded by cultural conditioning that taught me "it's no big deal" and I left the decision up to my husband. I forfeited both my choice and my son's choice. Luckily, my younger son is intact because of what I learned from my first son's sacrifice. Such a difficult, painful lesson. Every time I card, I think to myself, "If only I had found a card like this before my first son was born. If only someone had advocated for MY son, then he would also be intact like his little brother." Thank you for sharing your story. 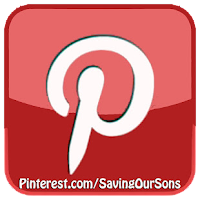 You are not alone and your efforts to save other baby boys WILL make a difference.